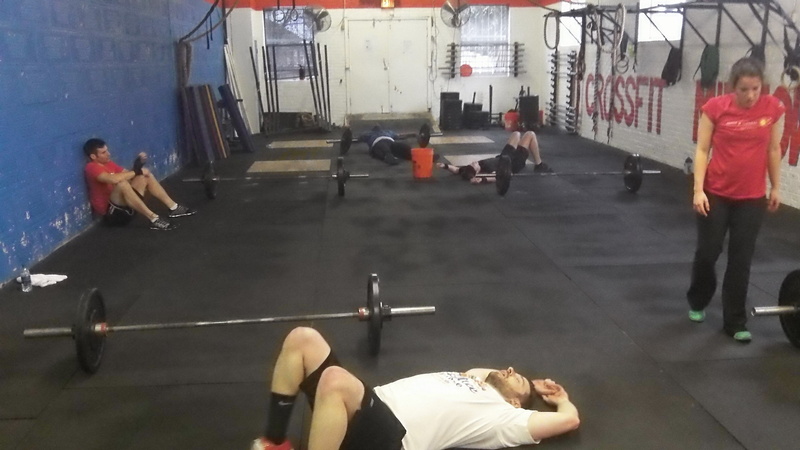 Today is the last day to complete and submit "14.2" scores. 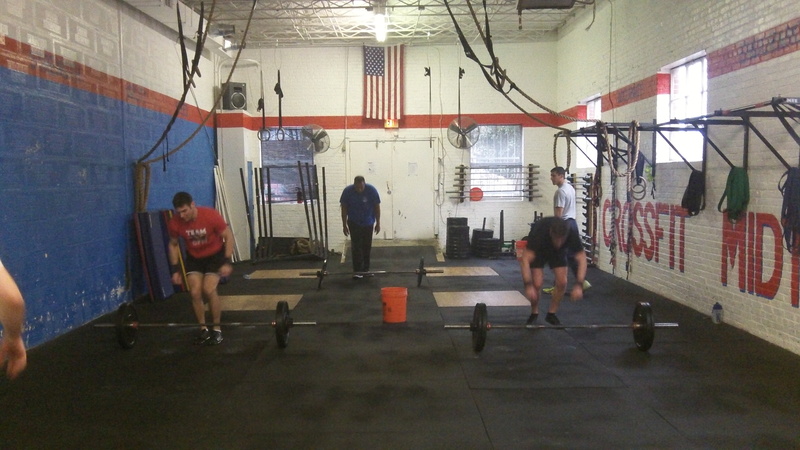 CrossFit Midtown is doing the Open workouts on Saturdays, so check them out at games.crossfit.com or just show up on Saturdays to try the workouts. Open Gym time Friday, Sunday and Monday are available for those that can not make it on Saturday to compete. This Thursday 8PM they will announce 14.3 at 8PM and streamed live online. Thursday night is also 80s Theme night at the gym! Stay tuned for more details. A. Medball Cleans: 8 minutes skill work. *Must do full medball squat clean finishing standing tall ball at chest in rack position before initiating squat for Wall ball. **Modify Toes-to-rings or floor leg raises to target. 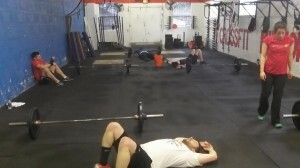 **Sub 10 Burpees + 10 Jumping Pullups. Coach Ben and the 5 PM working through Medball Situps. A. Skill Work: 5 Box jumps every minute on the minute for 6 minutes (w/ step downs). Work on silent landings onto the box at max height. 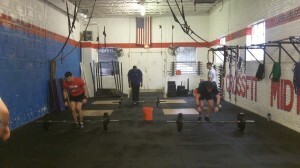 A. Thrusters In 10 minutes skill work Thrusters or work up to a heavy set of 4. 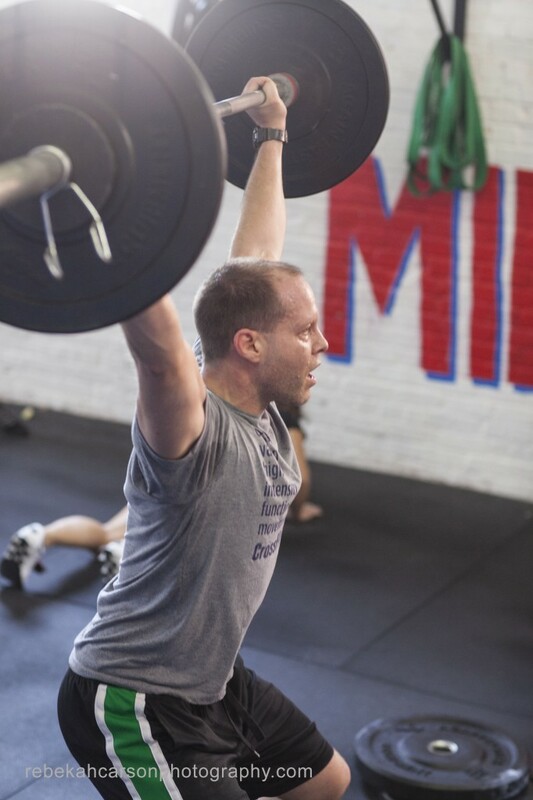 Today is the last day to register for the 2014 Open and to complete and submit "14.1" scores. 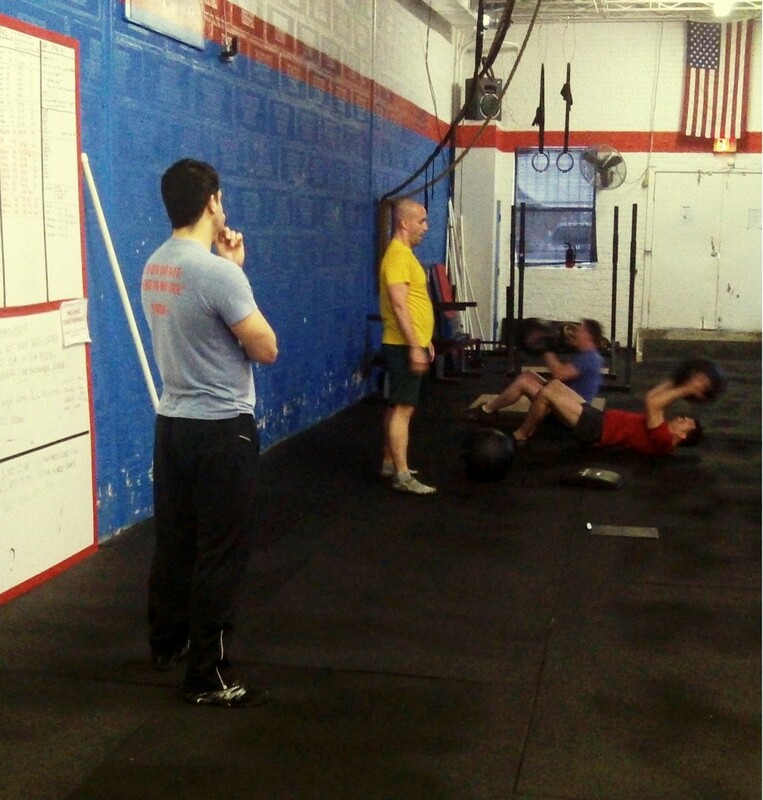 CrossFit Midtown is doing the Open workouts on Saturdays, so join the CFM team at games.crossfit.com or just show up on Saturdays to try the workouts. Open Gym time Friday, Sunday and Monday are available for those that can not make it on Saturday to compete. This Thursday 8PM they will announce 14.2 at 8PM and streamed live online. A. Skill Work: 5 Box jumps every minute on the minute for 6 minutes (step downs). Work on silent landings onto the box at max height.